Even the studio couldn’t bear to see him leave. 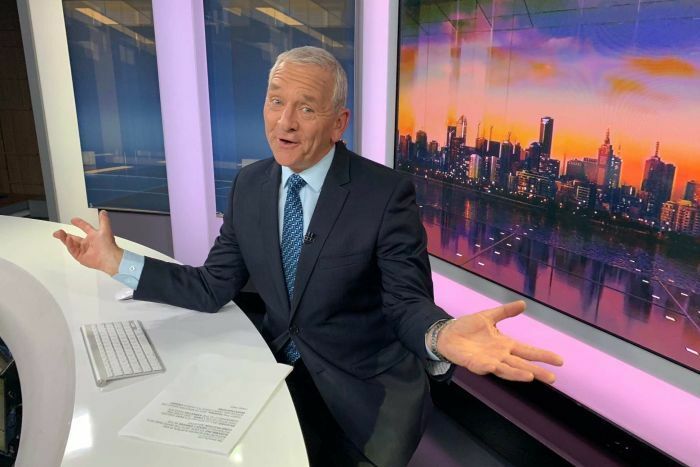 After 38 years at the ABC, and a quarter of a century as the face of ABC News Victoria, Ian Henderson’s farewell to the audience was cut short due to a technical fault. The start of the 7:00pm news bulletin went as planned — but seven minutes in, the transmission failed. Shortly after, the feed switched to the NSW news bulletin, read by Juanita Phillips in Sydney. But Henderson took the studio troubles in his stride. “You’ve got to laugh,” said Henderson, who announced his retirement last week. However, the 65-year-old will say goodbye. 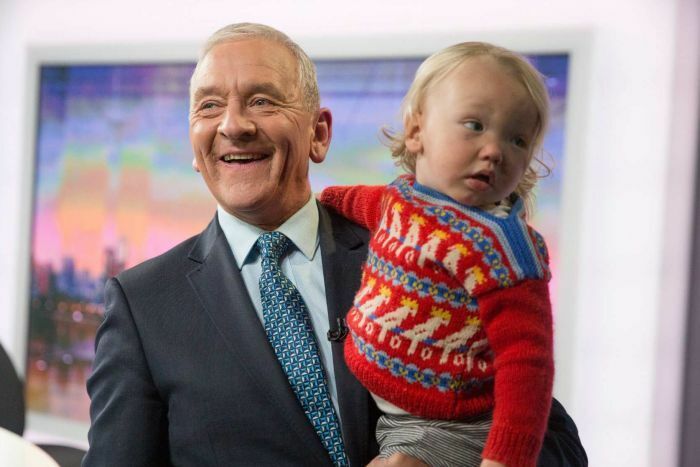 He will return to present one last bulletin on Friday night. “In the news business, you’ve got to roll with the punches,” Henderson said. ABC News executive editor Craig McMurtrie apologised for the mishap. “I’m embarrassed by what happened, but he is such a gentleman, the way he took it in his stride was humbling,” he said. Despite the technical issues, dozens of past and present colleagues, and Henderson’s family, were on hand to congratulate the veteran newsreader on a wonderful career. Audience members flooded the ABC’s switchboards with calls, wondering if their beloved newsreader had disappeared without saying goodbye. Henderson’s 38 years at the ABC took him to Trades Hall as an industrial reporter, to State Parliament — where he covered the election of John Cain in 1982, to Federal Parliament during Bob Hawke’s prime ministership in 1987, and then to Europe as a foreign correspondent. During that posting, Henderson covered some of the continent’s biggest events, including the fall of the Berlin Wall in 1989, and he was deployed further afield to report on such history-making moments as Nelson Mandela’s release from prison the following year. His 26 years as the face of the nightly television news has been his longest stint in one role. Bob Pulford tweets: Come back Hendo. We need to wish you well. Do not want Sydney ABC News. We want Hendo!